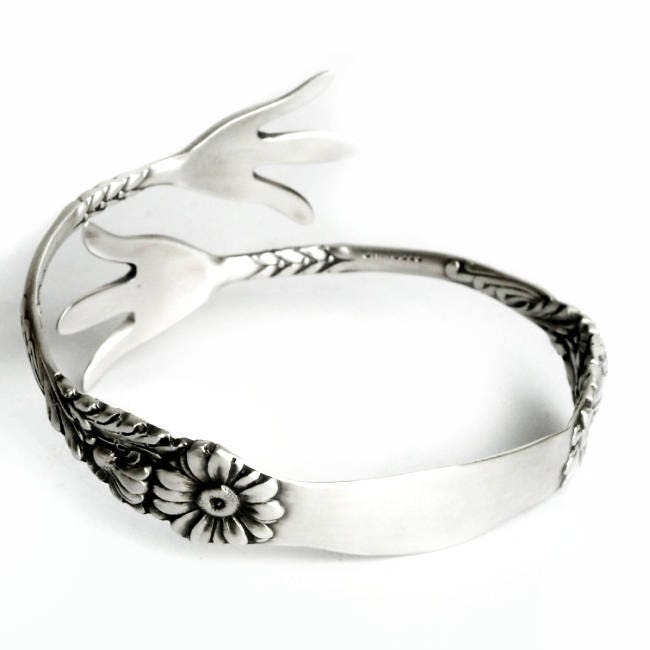 Great Solid Sterling Silver piece for evening wear or anytime wear! 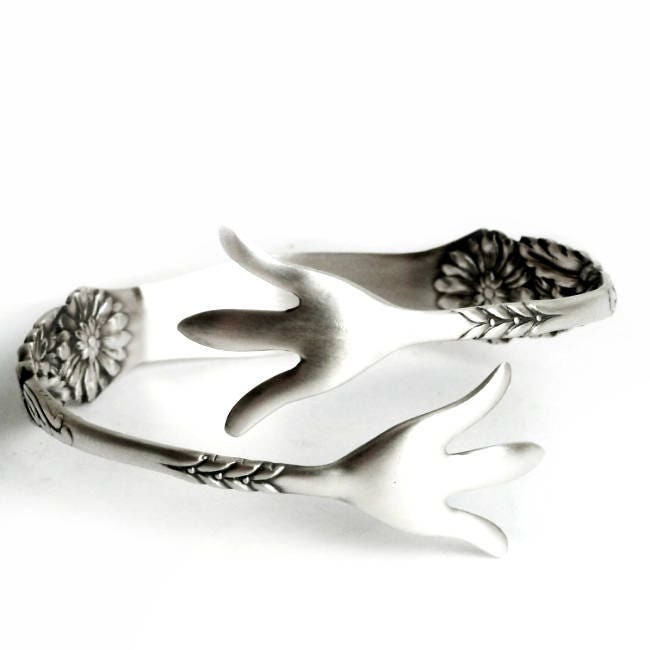 It has claws!!! 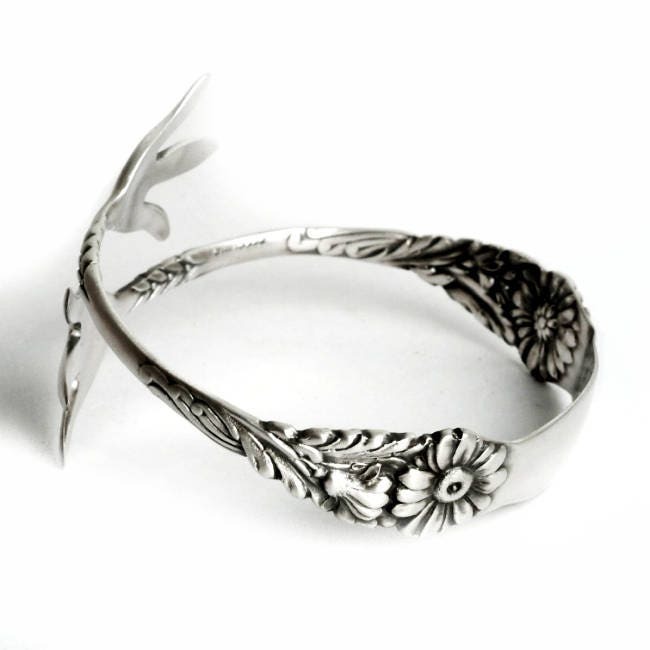 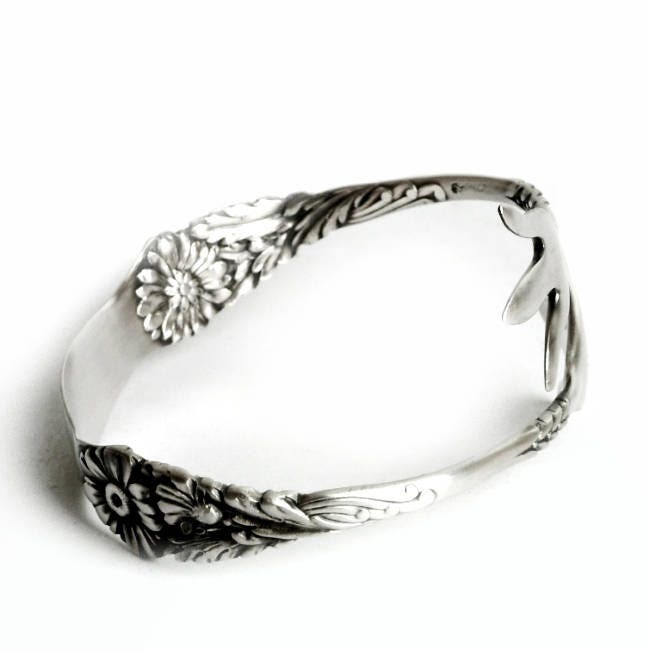 Ornate and classic Daisy design, has a very Art Nouveau look to it. 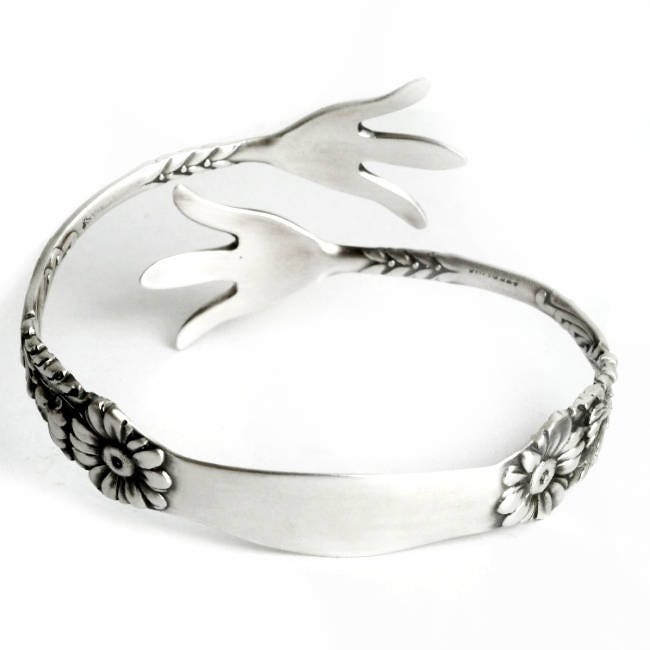 This bracelet has the Harlequin Series design "Daisy" by Reed and Barton which was first introduced in 1958. 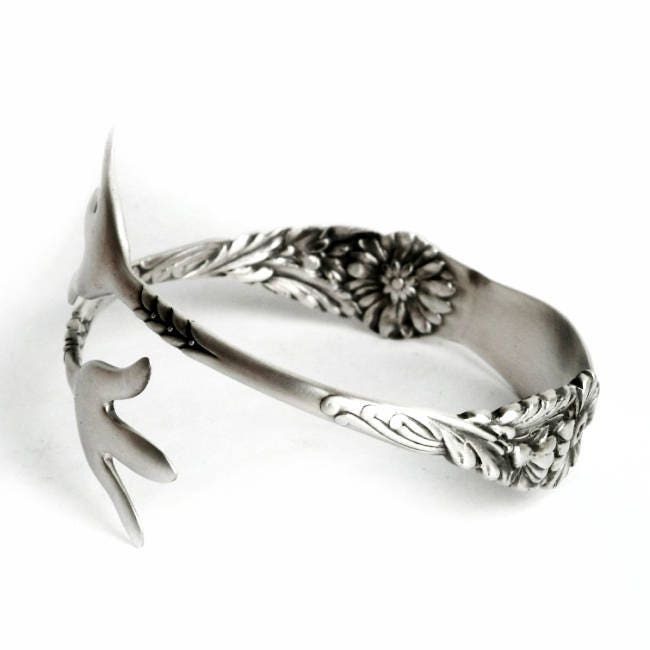 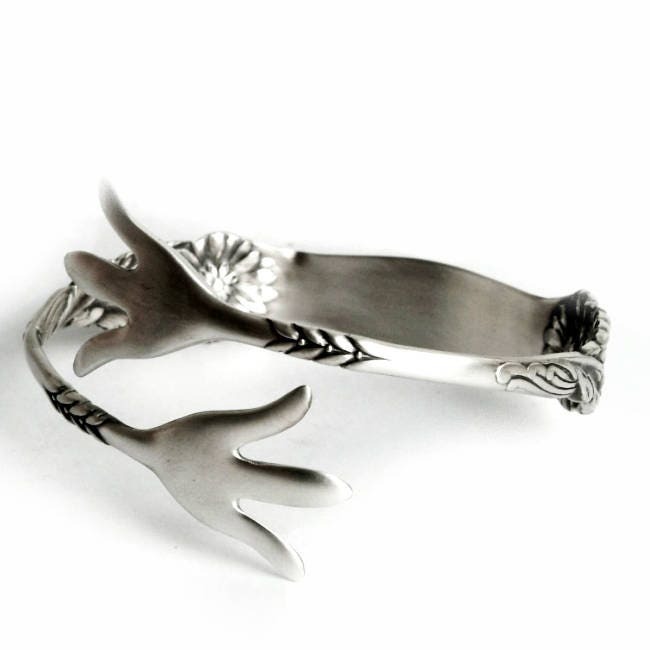 This is part of our new line of Spoonier Flatware bracelets. 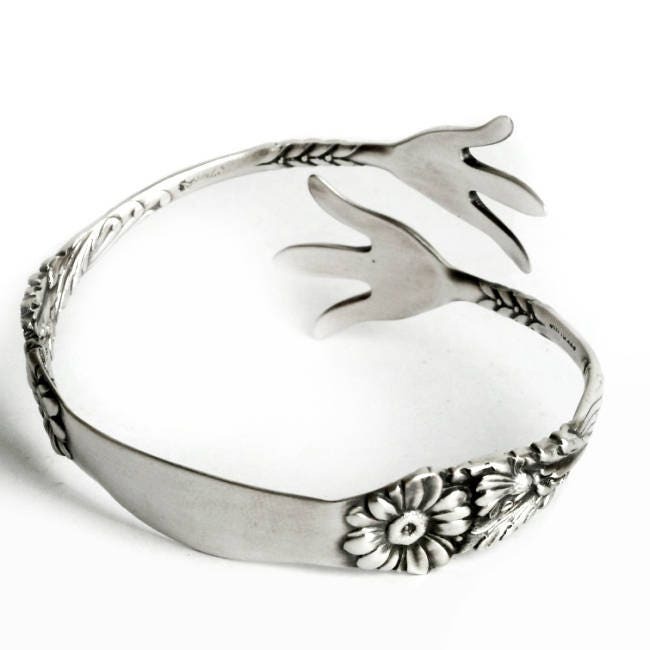 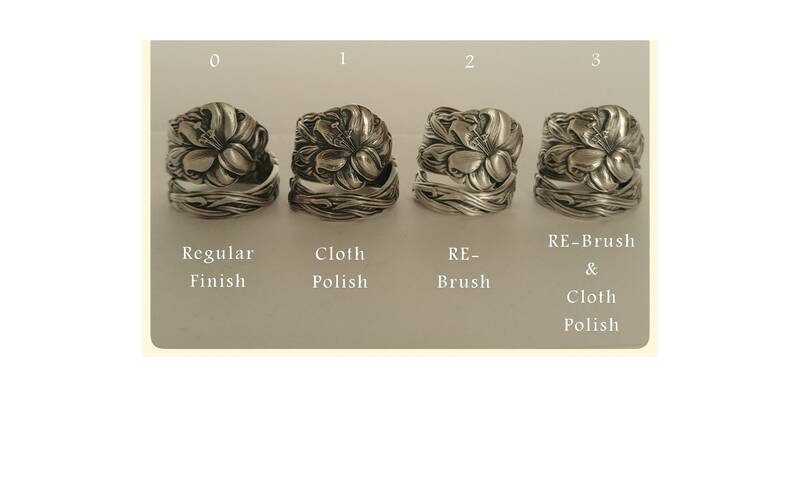 They are comfortable and easily open and close for a perfect fit- and the claws do not poke at all :) We have brought this piece back to life by refinishing it with our signature brush finish and fitting it to become a lovely bracelet as a classy addition to your Vintage artier! 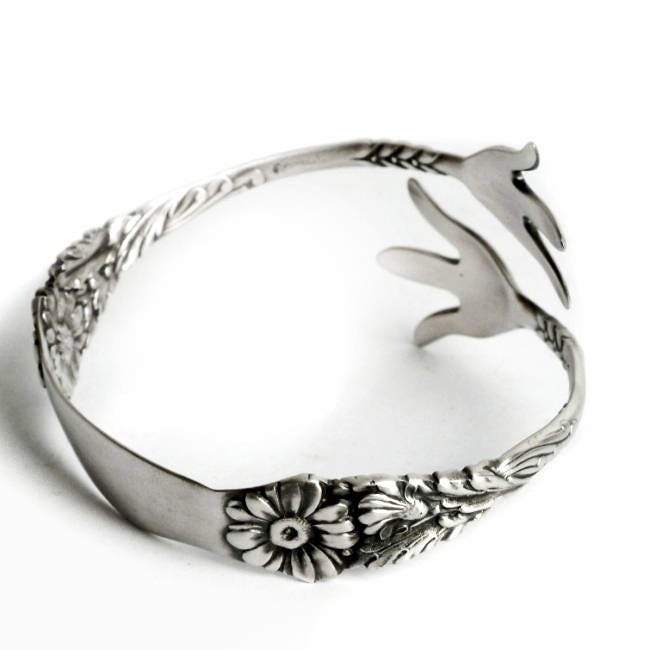 Made of 100% sterling silver, this piece is stamped and in excellent condition.